Over the last few years, trends like outsourcing and working from home have from merely novel to mostly necessary. Today, Just about everyone interacts with people outside their own office. Certainly, there are benefits. But the question remains: NOW how will we collaborate? 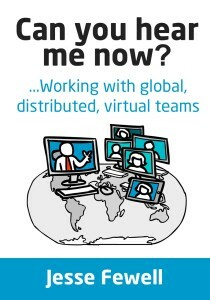 This book offers offering actionable tips and insights on working in a virtual environment. Printed in the innovative Minibük form factor, Can You Hear Me Now is readable in a single sitting, making it both practical and portable. Sponsored by PMI and IEEE, and featuring prominent members of Agile and SEI communities, this project answers the question: how does project management differ between physical work like construction, versus knowledge work like software? Jesse was the lead writer for the Project Life Cycles section, describing the key considerations for agile projects versus plan-driven projects. The book has been widely praised, earning Jesse and his peers the IEEE’s Golden Core Award for Outstanding Service. 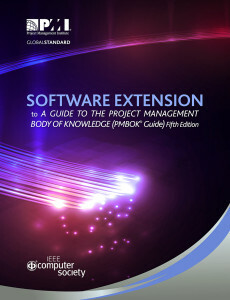 The PMBOK Guide is the definitive international standard for project management. The first draft of this Fifth Edition was released just as the Software Extension project began, which prompted the need for the team to synthesize their own efforts with the new draft. The team called upon Jesse to collect, integrated, and submit a response, which was officially adopted by the PMBOK Guide. As a result, Jesse’s is the language summarizing agile methods in the opening chapters.